6800201 ERP10RCF YALE ERP10RCF Electrical forklift ERP. Spare Parts Catalog. Service (workshop) Manual. Operator's Instruction Manual. 6800202 ERP12RCF YALE ERP12RCF Electrical forklift ERP. Spare Parts Catalog. Service (workshop) Manual. Operator's Instruction Manual. 6800203 ERP13VC YALE ERP13VC Electrical forklift ERP. Spare Parts Catalog. Service (workshop) Manual. Operator's Instruction Manual. 6800204 ERP15RCF YALE ERP15RCF Electrical forklift ERP. Spare Parts Catalog. Service (workshop) Manual. Operator's Instruction Manual. 6800205 ERP15VC YALE ERP15VC Electrical forklift ERP. Spare Parts Catalog. Service (workshop) Manual. Operator's Instruction Manual. 6800206 ERP15VT YALE ERP15VT Electrical forklift ERP. Spare Parts Catalog. Service (workshop) Manual. Operator's Instruction Manual. 6800207 ERP16AAF YALE ERP16AAF Electrical forklift ERP. Spare Parts Catalog. Service (workshop) Manual. Operator's Instruction Manual. 6800208 ERP16ATF YALE ERP16ATF Electrical forklift ERP. Spare Parts Catalog. Service (workshop) Manual. Operator's Instruction Manual. 6800209 ERP16VF YALE ERP16VF Electrical forklift ERP. Spare Parts Catalog. Service (workshop) Manual. Operator's Instruction Manual. 6800210 ERP16VT YALE ERP16VT Electrical forklift ERP. Spare Parts Catalog. Service (workshop) Manual. Operator's Instruction Manual. 6800211 ERP18AAF YALE ERP18AAF Electrical forklift ERP. Spare Parts Catalog. Service (workshop) Manual. Operator's Instruction Manual. 6800212 ERP18ATF YALE ERP18ATF Electrical forklift ERP. Spare Parts Catalog. Service (workshop) Manual. Operator's Instruction Manual. 6800213 ERP18VF YALE ERP18VF Electrical forklift ERP. Spare Parts Catalog. Service (workshop) Manual. Operator's Instruction Manual. 6800214 ERP18VT YALE ERP18VT Electrical forklift ERP. Spare Parts Catalog. Service (workshop) Manual. Operator's Instruction Manual. 6800215 ERP20AAF YALE ERP20AAF Electrical forklift ERP. Spare Parts Catalog. Service (workshop) Manual. Operator's Instruction Manual. 6800216 ERP20AAF� YALE ERP20AAF�Electrical forklift ERP. Spare Parts Catalog. Service (workshop) Manual. Operator's Instruction Manual. 6800217 ERP20ALF YALE ERP20ALF Electrical forklift ERP. Spare Parts Catalog. Service (workshop) Manual. Operator's Instruction Manual. 6800218 ERP20ATF YALE ERP20ATF Electrical forklift ERP. Spare Parts Catalog. Service (workshop) Manual. Operator's Instruction Manual. 6800219 ERP20VF YALE ERP20VF Electrical forklift ERP. Spare Parts Catalog. Service (workshop) Manual. Operator's Instruction Manual. 6800220 ERP20VT YALE ERP20VT Electrical forklift ERP. Spare Parts Catalog. Service (workshop) Manual. Operator's Instruction Manual. 6800221 ERP22VL YALE ERP22VL Electrical forklift ERP. Spare Parts Catalog. Service (workshop) Manual. Operator's Instruction Manual. 6800222 ERP25ALF YALE ERP25ALF Electrical forklift ERP. Spare Parts Catalog. Service (workshop) Manual. Operator's Instruction Manual. 6800223 ERP25VC YALE ERP25VC Electrical forklift ERP. Spare Parts Catalog. Service (workshop) Manual. Operator's Instruction Manual. 6800224 ERP25VL YALE ERP25VL Electrical forklift ERP. Spare Parts Catalog. Service (workshop) Manual. Operator's Instruction Manual. 6800225 ERP030TG YALE ERP030TG Electrical forklift ERP. Spare Parts Catalog. Service (workshop) Manual. Operator's Instruction Manual. 6800226 ERP030TGN YALE ERP030TGN Electrical forklift ERP. Spare Parts Catalog. Service (workshop) Manual. Operator's Instruction Manual. 6800227 ERP030TH YALE ERP030TH Electrical forklift ERP. Spare Parts Catalog. Service (workshop) Manual. Operator's Instruction Manual. 6800228 ERP030VF YALE ERP030VF Electrical forklift ERP. Spare Parts Catalog. Service (workshop) Manual. Operator's Instruction Manual. 6800229 ERP030VT YALE ERP030VT Electrical forklift ERP. Spare Parts Catalog. Service (workshop) Manual. Operator's Instruction Manual. 6800230 ERP30ALF YALE ERP30ALF Electrical forklift ERP. Spare Parts Catalog. Service (workshop) Manual. Operator's Instruction Manual. 6800231 ERP30VC YALE ERP30VC Electrical forklift ERP. Spare Parts Catalog. Service (workshop) Manual. Operator's Instruction Manual. 6800232 ERP30VL YALE ERP30VL Electrical forklift ERP. Spare Parts Catalog. Service (workshop) Manual. Operator's Instruction Manual. 6800233 ERP32ALF YALE ERP32ALF Electrical forklift ERP. Spare Parts Catalog. Service (workshop) Manual. Operator's Instruction Manual. 6800234 ERP035TG YALE ERP035TG Electrical forklift ERP. Spare Parts Catalog. Service (workshop) Manual. Operator's Instruction Manual. 6800235 ERP035TGN YALE ERP035TGN Electrical forklift ERP. Spare Parts Catalog. Service (workshop) Manual. Operator's Instruction Manual. 6800236 ERP035TH YALE ERP035TH Electrical forklift ERP. Spare Parts Catalog. Service (workshop) Manual. Operator's Instruction Manual. 6800237 ERP035VF YALE ERP035VF Electrical forklift ERP. Spare Parts Catalog. Service (workshop) Manual. Operator's Instruction Manual. 6800238 ERP035VT YALE ERP035VT Electrical forklift ERP. Spare Parts Catalog. Service (workshop) Manual. Operator's Instruction Manual. 6800239 ERP35VL YALE ERP35VL Electrical forklift ERP. Spare Parts Catalog. Service (workshop) Manual. Operator's Instruction Manual. 6800240 ERP040DH YALE ERP040DH Electrical forklift ERP. Spare Parts Catalog. Service (workshop) Manual. Operator's Instruction Manual. 6800241 ERP040TG YALE ERP040TG Electrical forklift ERP. Spare Parts Catalog. Service (workshop) Manual. Operator's Instruction Manual. 6800242 ERP040TGN YALE ERP040TGN Electrical forklift ERP. Spare Parts Catalog. Service (workshop) Manual. Operator's Instruction Manual. 6800243 ERP040TH YALE ERP040TH Electrical forklift ERP. Spare Parts Catalog. Service (workshop) Manual. Operator's Instruction Manual. 6800244 ERP040VF YALE ERP040VF Electrical forklift ERP. Spare Parts Catalog. Service (workshop) Manual. Operator's Instruction Manual. 6800245 ERP040VT YALE ERP040VT Electrical forklift ERP. Spare Parts Catalog. Service (workshop) Manual. Operator's Instruction Manual. 6800246 ERP40VM YALE ERP40VM Electrical forklift ERP. Spare Parts Catalog. Service (workshop) Manual. Operator's Instruction Manual. 6800247 ERP045VL YALE ERP045VL Electrical forklift ERP. Spare Parts Catalog. Service (workshop) Manual. Operator's Instruction Manual. 6800248 ERP45VM YALE ERP45VM Electrical forklift ERP. Spare Parts Catalog. Service (workshop) Manual. Operator's Instruction Manual. 6800249 ERP050DH YALE ERP050DH Electrical forklift ERP. Spare Parts Catalog. Service (workshop) Manual. Operator's Instruction Manual. 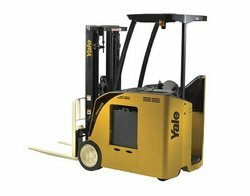 6800250 ERP050VL YALE ERP050VL Electrical forklift ERP. Spare Parts Catalog. Service (workshop) Manual. Operator's Instruction Manual. 6800251 ERP50VM YALE ERP50VM Electrical forklift ERP. Spare Parts Catalog. Service (workshop) Manual. Operator's Instruction Manual. 6800252 ERP50VM6 YALE ERP50VM6 Electrical forklift ERP. Spare Parts Catalog. Service (workshop) Manual. Operator's Instruction Manual. 6800253 ERP55VM6 YALE ERP55VM6 Electrical forklift ERP. Spare Parts Catalog. Service (workshop) Manual. Operator's Instruction Manual. 6800254 ERP060DH YALE ERP060DH Electrical forklift ERP. Spare Parts Catalog. Service (workshop) Manual. Operator's Instruction Manual. 6800255 ERP060VL YALE ERP060VL Electrical forklift ERP. Spare Parts Catalog. Service (workshop) Manual. Operator's Instruction Manual. 6800256 ERP065DH YALE ERP065DH Electrical forklift ERP. Spare Parts Catalog. Service (workshop) Manual. Operator's Instruction Manual. 6800257 ERP070VL YALE ERP070VL Electrical forklift ERP. Spare Parts Catalog. Service (workshop) Manual. Operator's Instruction Manual. 6800258 ERP080VM YALE ERP080VM Electrical forklift ERP. Spare Parts Catalog. Service (workshop) Manual. Operator's Instruction Manual. 6800259 ERP090VM YALE ERP090VM Electrical forklift ERP. Spare Parts Catalog. Service (workshop) Manual. Operator's Instruction Manual. 6800260 ERP100VM YALE ERP100VM Electrical forklift ERP. Spare Parts Catalog. Service (workshop) Manual. Operator's Instruction Manual. 6800262 ESC020AB YALE ESC020AB Electrical forklift ESC. Spare Parts Catalog. Service (workshop) Manual. Operator's Instruction Manual. 6800263 ESC020A YALE ESC020A Electrical forklift ESC. Spare Parts Catalog. Service (workshop) Manual. Operator's Instruction Manual. 6800264 ESC025AB YALE ESC025AB Electrical forklift ESC. Spare Parts Catalog. Service (workshop) Manual. Operator's Instruction Manual. 6800265 ESC025A YALE ESC025A Electrical forklift ESC. Spare Parts Catalog. Service (workshop) Manual. Operator's Instruction Manual. 6800266 ESC030AB YALE ESC030AB Electrical forklift ESC. Spare Parts Catalog. Service (workshop) Manual. Operator's Instruction Manual. 6800267 ESC030A YALE ESC030A Electrical forklift ESC. Spare Parts Catalog. Service (workshop) Manual. Operator's Instruction Manual. 6800268 ESC030AC YALE ESC030AC Electrical forklift ESC. Spare Parts Catalog. Service (workshop) Manual. Operator's Instruction Manual. 6800269 ESC030AD YALE ESC030AD Electrical forklift ESC. Spare Parts Catalog. Service (workshop) Manual. Operator's Instruction Manual. 6800270 ESC030FA YALE ESC030FA Electrical forklift ESC. Spare Parts Catalog. Service (workshop) Manual. Operator's Instruction Manual. 6800271 ESC030ZA YALE ESC030ZA Electrical forklift ESC. Spare Parts Catalog. Service (workshop) Manual. Operator's Instruction Manual. 6800272 ESC035AC YALE ESC035AC Electrical forklift ESC. Spare Parts Catalog. Service (workshop) Manual. Operator's Instruction Manual. 6800273 ESC035AD YALE ESC035AD Electrical forklift ESC. Spare Parts Catalog. Service (workshop) Manual. Operator's Instruction Manual. 6800274 ESC035FA YALE ESC035FA Electrical forklift ESC. Spare Parts Catalog. Service (workshop) Manual. Operator's Instruction Manual. 6800275 ESC035ZA YALE ESC035ZA Electrical forklift ESC. Spare Parts Catalog. Service (workshop) Manual. Operator's Instruction Manual. 6800276 ESC040AC YALE ESC040AC Electrical forklift ESC. Spare Parts Catalog. Service (workshop) Manual. Operator's Instruction Manual. 6800277 ESC040AD YALE ESC040AD Electrical forklift ESC. Spare Parts Catalog. Service (workshop) Manual. Operator's Instruction Manual. 6800278 ESC040FA YALE ESC040FA Electrical forklift ESC. Spare Parts Catalog. Service (workshop) Manual. Operator's Instruction Manual. 6800279 ESC040ZA YALE ESC040ZA Electrical forklift ESC. Spare Parts Catalog. Service (workshop) Manual. Operator's Instruction Manual. 6800280 ESC050ZA YALE ESC050ZA Electrical forklift ESC. Spare Parts Catalog. Service (workshop) Manual. Operator's Instruction Manual.